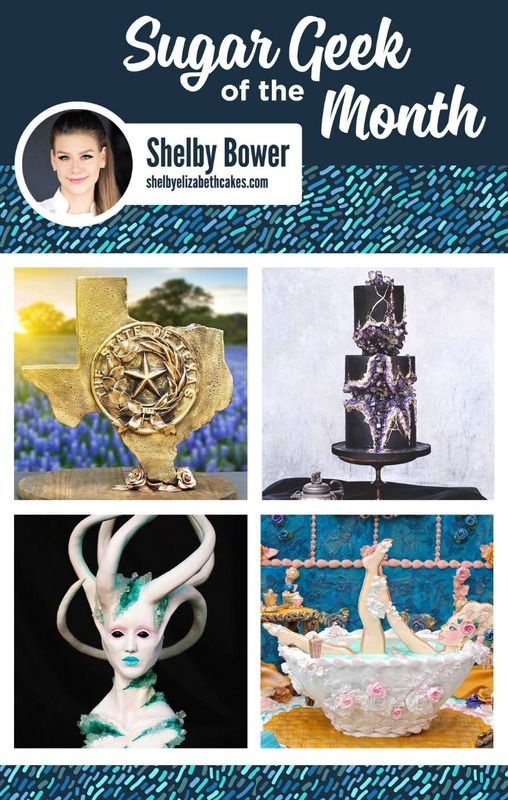 Congratulations to our February Sugar Geek of the Month, Shelby Bower of Shelby Elizabeth Cakes! 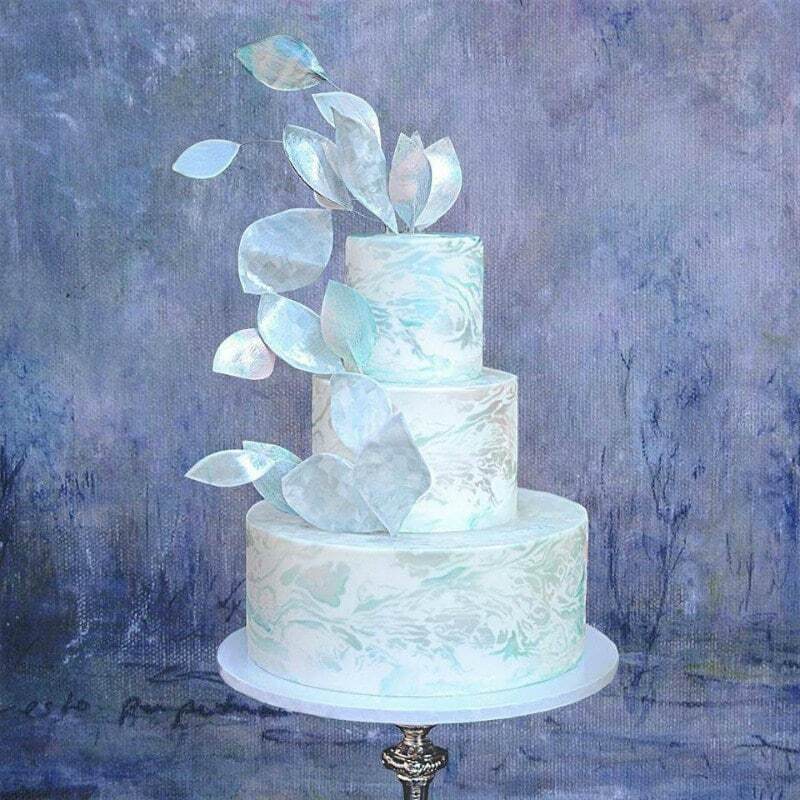 Shelby does phenomenal work from sculpted masterpieces to elegant wedding cakes. Check out our interview with Shelby to learn more about her and her incredible work! My first time experimenting with cake decorating was in high school. I have always been an artist and worked with my hands. I grew up sculpting, painting, embroidering, sewing, anything creative, but it wasn’t until I was in my early 20’s that I made cake decorating my career. I was right out of a fashion internship and nannying for extra income. I was working for a lady who was just starting a cake company. She noticed that I had drawn some cute pictures for her daughter and asked if I could sculpt a monkey topper for her out of fondant. I made a monkey and that was the beginning of my cake decorating career. I love cakes that use multiple mediums and require experimenting to get to get the proper texture or technique. I love making cakes that involve building internal structures, carving, working with isomalt, and sculpting. Sculpting faces, I think it’s important to get a really good handle on anatomy and being able to sculpt realistic faces is a huge asset. How did you hear about Sugar Geek Show? 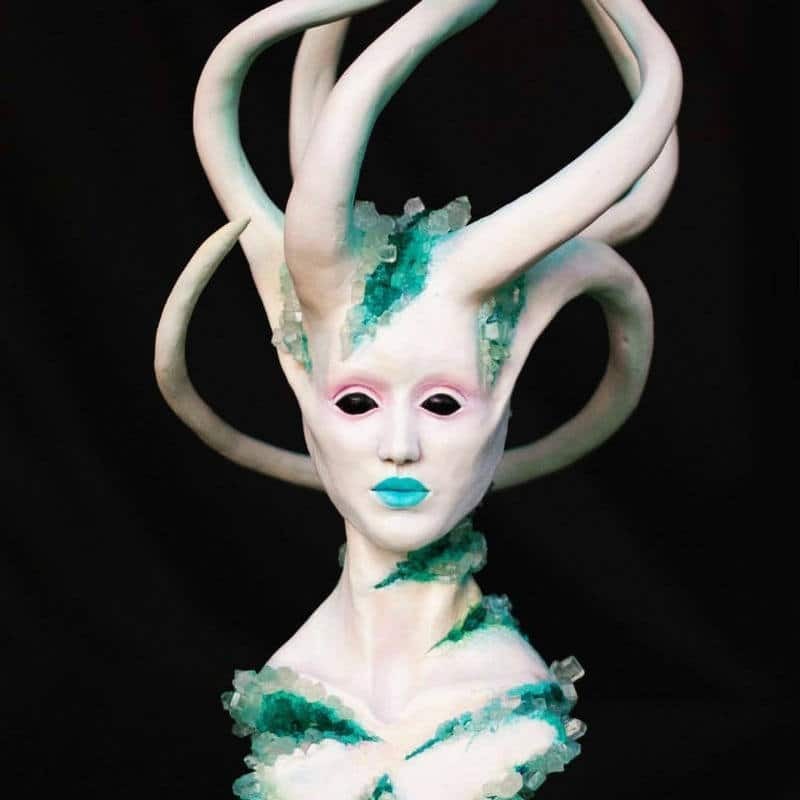 I attended That Takes the Cake for the first time when Liz made her amazing Mother Nature sugar showpiece. I took her class on social media marketing and loved her personality. Her piece changed my perspective on the cake world. I was living the wedding and grooms cake life, which can get a little stale. When I realized how high the bar was set for cake competitions I was eager to learn more, compete and experiment. I left the show inspired to enter competitions and push myself farther. I became a Sugar Geek as soon as I started my own company. What’s your favorite part of being a Sugar Geek? I love the Sugar Geek community. I’ve met a lot of awesome people in the Facebook group and I have been featured in cake magazines because of it. I am always learning new tips and tricks from Liz that help take my cakes to another level. What are some of your cake goals for the future? I am starting to teach cake decorating, so I would love to be traveling and teaching full-time in the future. 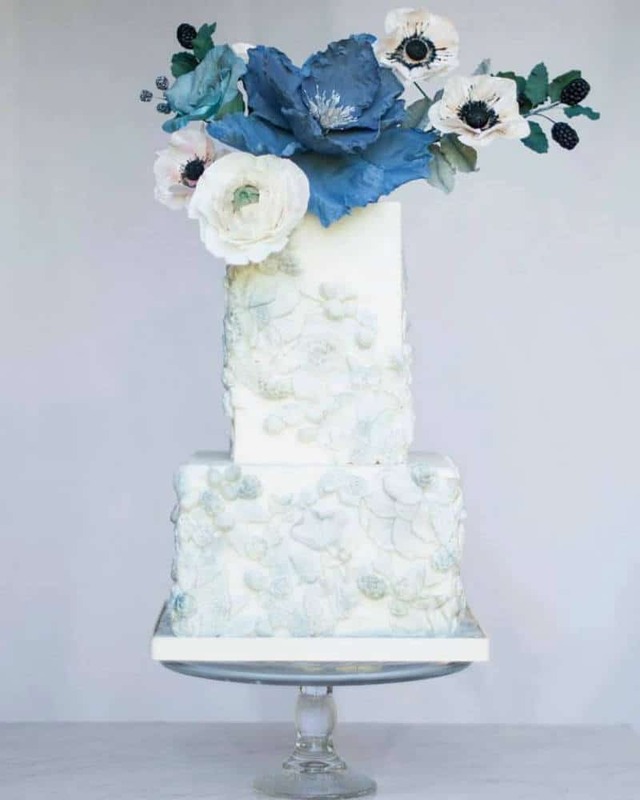 What do you think is the most challenging part of cake decorating for you? Time management, having enough time to get all of my ideas and designs created! 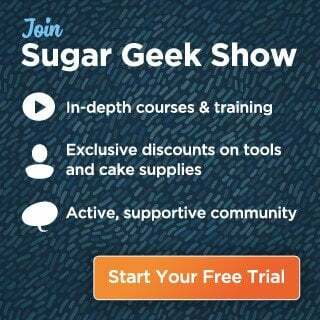 Are there any tutorials or guest instructors you’d like to see on Sugar Geek Show? I love Jasmine Rae, her textures are AMAZING. 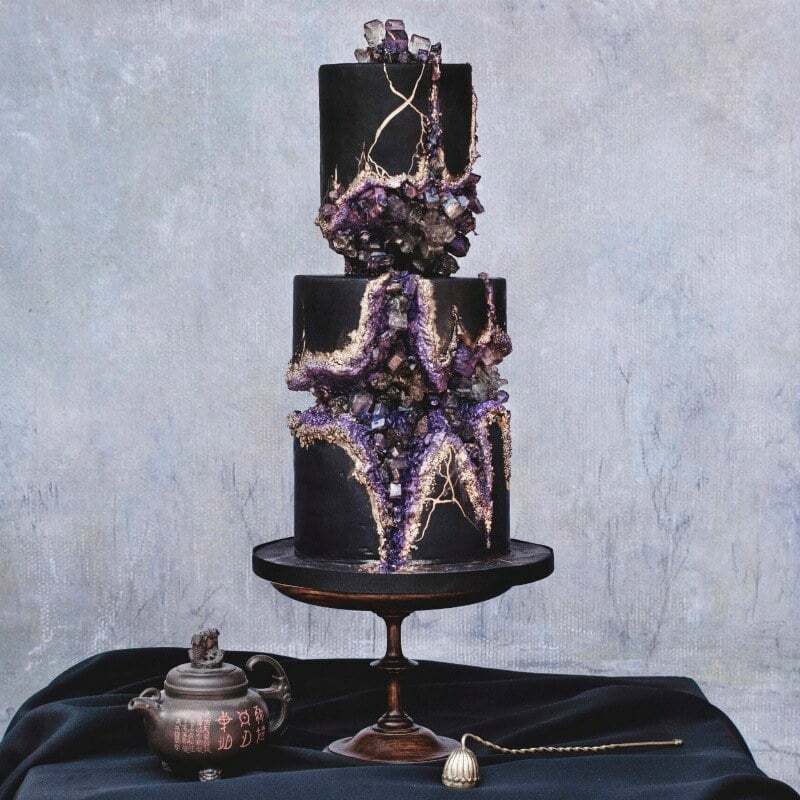 Do you plan on going to any cake shows this year? 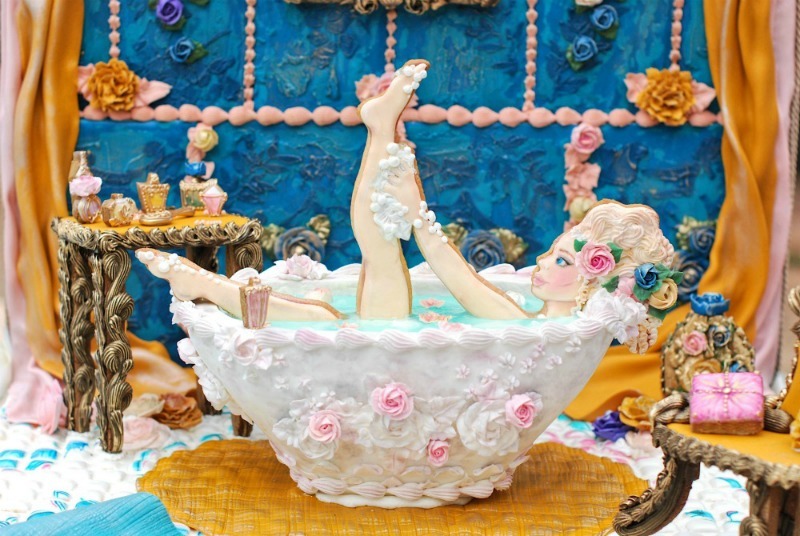 I am competing at That Takes The Cake, The Oklahoma Sugar Art Show and possibly some competitions in New Orleans. Where can people find more information on you? Website, FB, IG, YouTube, etc? Shelby certainly has a wide range of skills and impeccable attention to detail! I can definitely spot some techniques from Sugar Geek Show tutorials in her work and they look amazing! Congratulations again Shelby and thanks for being a Sugar Geek! Sugar Geek of the Month recipients get an official gift certificate and goodie box as well as a blog post featuring them and their work! 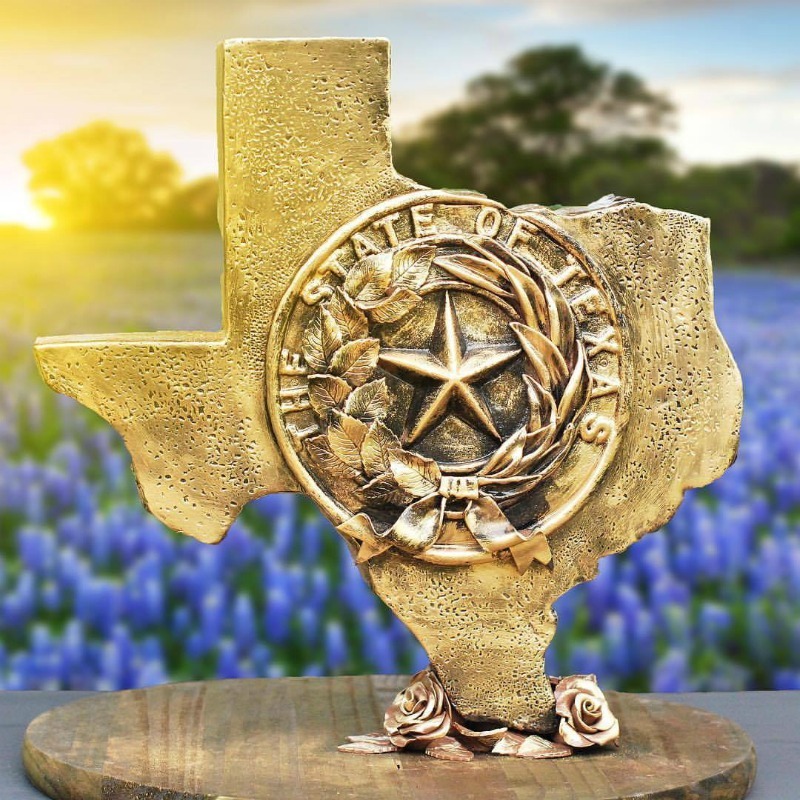 To be eligible for this honor, you must be a Premium or Elite member of the Sugar Geek Show and simply post your work for everyone to admire in the Sugar Geeks Facebook Group or Sugar Geek Elite Facebook Group and get noticed!